Digital health innovation is happening at a rapid fire pace. And voice is taking center stage. Why? Consider the following from Inevitable/Human, a futuristic newsletter and online support network for futurists. "Conversational interfaces are the next frontier in interaction. This is why we see companies, large and small, pouring massive resources into making voice work." The author says, "on one hand, youʼve got a company like Orbita, whoʼs approaching voice interfaces with extreme focus – to create seamless conversational interfaces for healthcare. By focusing on a niche, they can solve for all the idiosyncrasies in that specific sphere, incorporate the necessary lingo, and truly define the standard for conversational interfaces in healthcare." Read a press release announcing our new collaboration with Brigham and Women's to advance the use of conversational AI solutions in health care. Watch a recap of a recent Voice Hackathon hosted by Boston Children's Hospital. See how real-world use cases became live voice applications in just hours. Learn more about the newest functionality in our Orbita Voice™ platform. Contact us for additional information about recent updates. At times, it can be somewhat mind-boggling to think about the near-endless possibilities to reshape and improve healthcare. At Orbita, we're thrilled to work with some of the most digitally innovative organizations -- providers, payors, pharmaceutical, care management service providers and other organizations who are making it happen. Join one of the hottest companies in digital healthcare! What's New in Orbita Voice™? Check out these recent enhancements and watch for powerful new additions to our voice platform designed to save time for your technical and non-technical team members. To learn more about the wide range of voice use cases powered by Orbita (those now in use and also in development, please contact us. Orbita Chief Product Officer Bill Cava will present Building a Voice-Enabled Question and Answer System at this event for technical, marketing, and product information managers—those responsible for managing the people, processes, and technologies involved in creating exceptional customer experiences with content. 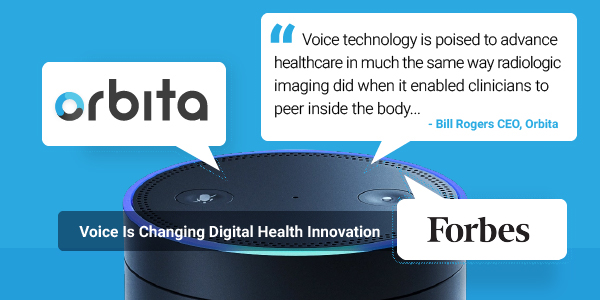 We're pleased to announce that Orbita CEO Bill Rogers will join a panel of esteemed experts discussing the future of voice in healthcare at Digital Health Summit @CES 2019. We're making plans to showcase our voice platform technology in new and exciting ways at HIMSS 2019. We look forward to seeing you in Orlando! What Happens in Boston Shouldn't Stay Only in Boston! 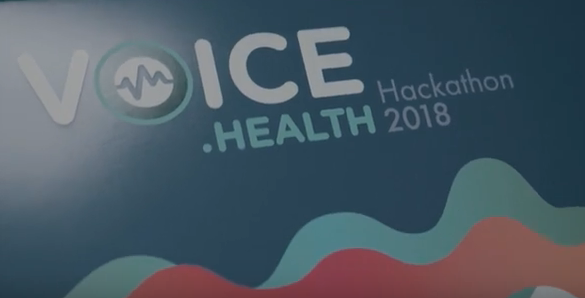 Dozens of digitally savvy individuals gathered in Boston for the 2018 Voice Hackathon hosted by Boston Children’s Hospital (BCH). Kudos to BCH Hacking Pediatrics, for an inspiring day and also to Amazon Alexa for sponsoring the hackathon. Orbita enthusiastically shared in the excitement of the day and in developing new voice applications for healthcare. Read and watch more! Visionary professionals from the BCH Innovation and Digital Health Accelerator hosted an exceptional event, bringing together esteemed experts, entrepreneurs, and engineers focused on pioneering voice transformation in healthcare. Orbita sponsored the inaugural Voice.Health Summit with our president Nathan Treloar serving on a “Voice Tech for Consumers” panel moderated by Emily Roberts, Amazon Alexa senior manager of global partner marketing. Read and watch more. Did you miss a previous newsletter? Catch up now! You received this email because you are subscribed to Newsletter from Orbita, Inc..